Ever wonder how it is to be a celebrity? Out of a number of roles available, have you ever thought of the one that suits you best if you happen to be the lead star? I love watching movies and at times, I see myself in the lead role as well. I somehow find a connection to some characters as I can relate to them in real life. 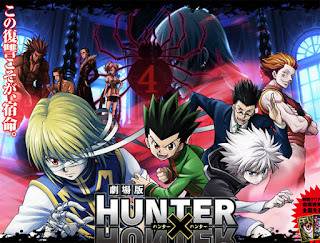 But if given a chance to pick one story for a movie project, I would probably choose an animated one similar to the recently shown Hunter X Hunter movie. I would prefer being the star behind the voice of Gon Freecss, the primary protagonist of the Hunter X Hunter saga. I believe I could do well in expressing the appropriate emotion behind Gon's character as I've been a follower of the anime since high school. Some may find my preference ridiculous as I could have chosen a movie where I could physically show my acting prowess and all that but that's just not my thing. I don't want that kind of celebrity exposure. I would rather be a voice talent to an awesome anime. For the plot, I would follow the same Hunter X Hunter script with probably a few minor tweaks. My anime movie will showcase a wide variety of mini-stories encapsulated into one - from stories of friendships to action-packed battles that would surely make all the anime fans out there crave for a part two at the end of the movie. 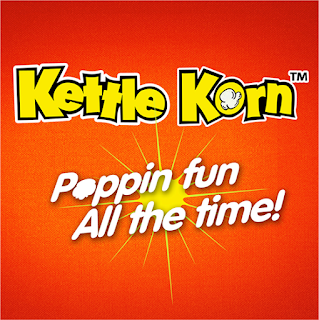 And to fully enjoy it, I'd ask everyone to watch my Hunter X Hunter movie project with a Kettle Korn snack as it makes watching movies poppin' fun all the time!